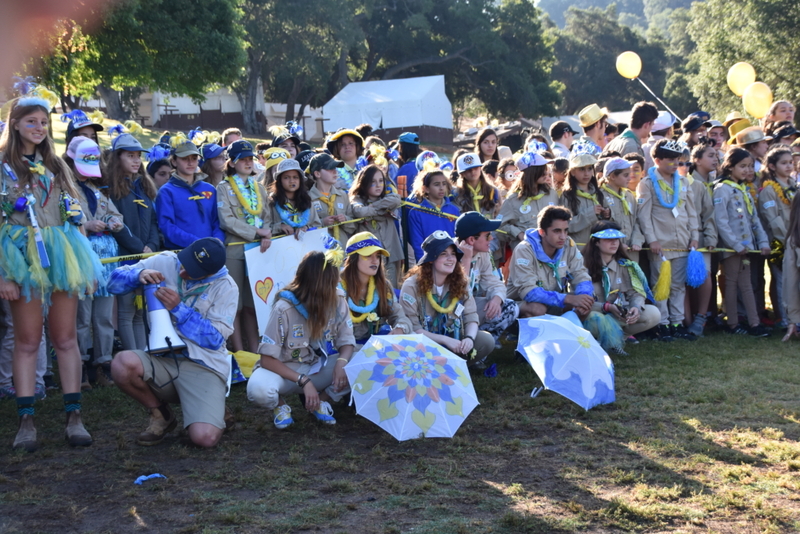 Each year, 6 tzofim troops from the South Western US, get together for 4 amazing days of Summer Camp – 4 days full of fun activities, competitions, games and tzofiut (scouting) at camp Ramah in Ojai, CA. The camp is equipped with cabins and tents that are furnished with bunk beds and mattresses. The camp is also equipped with a mess hall, where we will enjoy 3 meals each day. Departure: The buses will depart on Friday the 5/25 at 10:00AM from the shevet*. Please plan to be at the school by 9:30AM to allow enough time for loading bags etc to the buses. A school release form can be downloaded from here. Return: We will arrive back from camp on Monday, 5/28 at about 5PM. There will be no additional pickups. All Chanichim are required to arrive at the SDJA by 9:00AM. If there are dietary concerns, please make sure to update your child’s profile during the registration. Please make sure to let us know of any allergies / sensitivities (if you have not already). The will be absolutely no visitation to the camp. As in previous years, parents attempting to visit the camp will not be allowed to enter the camp and will be turned back. There is little to no reception at camp. Please do not be alarmed if you do not hear from your children during the course of the weekend. In order to maximize the experience for all participants – we highly recommend leaving cellphones, other electronic gadgets and valuables at home. Please make sure to label all personal articles – including clothing. Important: There will be an activity at and in the swimming pool. If you have any concerns about you child’s ability to swim, please let Danni know. All those selected to chaperon, will be notified on or around May 12th. Extra clothes (most of the camp aren’t going to be on khaki). White t-shirt that can be destroyed. Please do not bring valuable equipment. The shevet will not be responsible for loss or damage of equipment at camp. בגדים להחלפה למשך היום (רוב המחנה לא על חאקי). Registration will close 13 days prior to camp on 5/12. No exceptions. Any chanichim or Madrichim not registered or not paid by 5/12 will not be able to take part. Late registration will be available for 48 hours only (May 11th-12th) but will carry an additional $60 late fee. No exceptions will be made. Please register on time.